Tung Yu Hydraulic Industries was established in 1983. Tung Yu has been in this field for more than a decade. 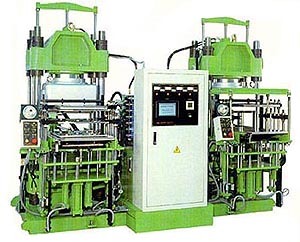 Along with the fast tempo of society and technological innovations, her products have been upgraded from the first set of semi-auto press to now full auto vacuum molding press. Due to customers' support, his products are represented in diversity. Despite the current small success, Tung Yu continues her mission to develop new products and promote new technology. By the idea of "Neverending Effort", Tung Yu would like to work together with all the rubber part manufacturers to upgrade her presses and products. Tung Yu would like to hear any questions or comments from you. And her manufacturing capacity is from 5 ton to 5000 ton.